Apple iPad Air officially launched in Malaysia. iPad Air with LTE version 16GB is priced at RM2029, 32GB at RM2349, 64GB at RM2679, and 128GB at RM2999. 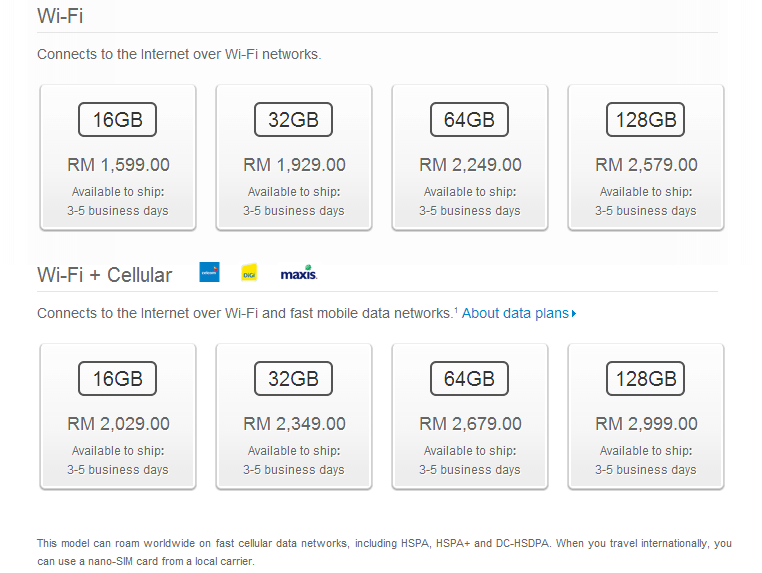 As for the WiFi only variants, 16GB is priced at RM1599, 32GB at RM1929, 64GB at RM2249, and 128GB at RM2579. So what do you guys say? Worth to get one? If yes, which variant you would go for? Next ArticleClash of Clans Christmas Facelift.